Domain-based email addresses lend an air of professionalism to your business communications and are easy to set up and use if your hosting service supports POP3 communication. There are many email services, such as Gmail and Yahoo!, that have gained popularity and are used for both personal and professional purposes. Because of the volume of users, however, it can often be difficult to reserve the address you want, especially on a well-established, popular service. That’s where Post Office Protocol version 3 (POP3) comes in. Rather than having an unprofessional Gmail or Yahoo! address, complete with numbers or nicknames, you can have yourname@yourdomain.com. When POP3 was initially proposed, it was a very simple protocol that involved logging into a server, retrieving a list of emails, downloading and then immediately deleting them. As email became more widespread, it was necessary to improve the basic POP3 protocol and, as a result, several additional features were added via extensions. Most important among them was the ability to encrypt the login process. Another significant extension was the ability to retrieve emails without automatically deleting them, in effect using the POP3 server as an online backup of all emails. Get a new computer, or change email clients, and you can immediately re-download each and every previous email. To facilitate this functionality, POP3 was extended to allow each email to be identified with a unique ID (UID). These UIDs can then be compared to a list of UIDs your email program maintains, making it possible to identify new emails, as opposed to old emails that are being left on the server. The ability to delete emails older than a specified period was yet another extension to the original POP3 protocol that had practical benefits for the end-user. Over time, these various extensions significantly improved POP3 over the basic connect-retrieve-delete methodology originally envisioned by its inventors. In spite of these improvements, POP3 still contains some significant limitations. Who's Best for POP3 Hosting? 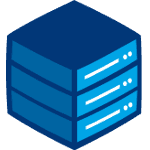 We think BlueHost is the best choice for POP3. (Billed as $3.92 Per Month) ⓘPrices in are approximate, based on current exchange rates. The host will likely charge you in USD, or at a different exchange rate. (Billed as $2.99 Per Month) ⓘPrices in are approximate, based on current exchange rates. The host will likely charge you in USD, or at a different exchange rate. In spite of progress made to modernize and extend POP3’s functionality, its inherent simplicity leads to some significant shortcomings. One of the most significant shortcomings of POP3 is the lack of standardization of what additional functionality and extensions are supported on various servers. Because the core protocol is so simple, and much of the additional functionality is provided via optional extensions, any POP3 server software can support or ignore any combination of features as long as the most basic, core features are supported. Another obvious shortcomings is POP3’s lack of status updates across devices. For example, if you download an email and reply to it from your phone or tablet, it will shown as unread when you download that same email to your computer or other devices. Whatever action you may have taken with that email will only show on the device you used to take that action. This makes POP3 less than ideal for someone whose workflow relies on multiple devices. The same applies if you purchase a new computer or change email clients. If you choose to re-download your email, instead of backing up and restoring, every email will be downloaded and displayed as a new, unread message—regardless of how many you may have forwarded or replied to. POP3’s initial connect-retrieve-delete methodology is also apparent in the lack of server-side organizational ability. If you want to filter and organize your email, you must do so in your email client. If you access your email on multiple devices, this is another step that must be recreated on all devices. Because of POP3’s limitations, a competing protocol was eventually proposed and developed. This protocol was IMAP. From the very beginning, IMAP was designed to address POP3’s shortcomings, emphasizing two-way communication with the server, instead of the connect-retrieve-delete philosophy that permeated POP3. IMAP included the functionality that was grafted onto POP3, but as part of the core protocol. This has resulted in a much more uniform implementation of IMAP software. The IMAP protocol and server software also treats IMAP mailboxes as a hierarchy that should be duplicated on any and all devices logging into that account. Set up your IMAP account on your phone or tablet, and you will see the exact same mailboxes as on your computer. IMAP also addresses the status update issue by including various message flags as an integral part of the protocol. Reply, forward or move an email and that change is propagated across all your devices. This two-way communication, however, can be more resource intensive compared to POP3, for both the server and client. POP3 is, perhaps, the most supported email protocol on the planet. This means that virtually every hosting company and service offers free POP3 support. POP3 has enjoyed widespread use because of its simplicity, reliability and ease-of-use. In spite of the rise of IMAP, POP3 continues to be an excellent choice for many individuals. If your workflow relies on multiple devices, however, you may find IMAP to be a better choice. Our writing team comes from all over the world with diverse backgrounds in the arts and sciences. But what links them is their passion for the internet. All together they represent many decades of experience working in all facets of it — from programming and hardware creation to website design and marketing.